Autum's Bitchin' Book Reviews: Chatty with Pheonix and Madison from The Road To Hell Series!!! 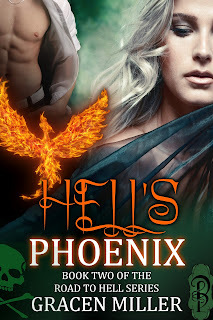 Chatty with Pheonix and Madison from The Road To Hell Series!!! Autum: Today we have two guests…but not at the same time. Phoenix and Madison from the Road to Hell series are stopping by, and I think I see our first guest now. Hi, Phoenix, welcome. We’re really glad you were able to stop by today. If it’s okay we’d like to ask you a few questions? Nix: Glad to be here, thanks for inviting me. Call me Nix, all my friends do. I’m an open book, sweetheart, so ask away. Autum: First of all, where did you meet Madison? I always love to hear where people meet, was it romantic? Autum: Wow! Anything but huh? What did you think when you walked into that mess? That poor little boy! Nix: I wasn’t sure what to think. It followed no demonic MO that we knew. And after growing up in this business, we’d seen a lot of madness. It became evident pretty earlier on that solving her problem wouldn’t be easy. But I’m a sucker for a damsel in distress. *winks* No way could I leave a mother alone to fight supernatural forces. And Amos, well, he’s a cool kid when he’s acting normal. Autum: I guess you had your work cut out for you! But I also understand your family is involved in the work you do? Nix: Yes, we’re all in the Sherlock business. Dedicated to making the world safer. Autum: Does that make it hard? I mean you must really worry about everyone you love dealing with such difficult and dangerous work. Autum: Nix, I understand you made a huge sacrifice in Pandora’s Box. Would you like to discuss it a little? Nix: *rubs nape* All I’ll say is sometimes we make huge mistakes for the one’s we love. Autumn: Well Phoenix is gone, but our next guest has arrived. Welcome, Madison, won’t you have a seat? Autum: If you’re comfy, the first thing I think our readers would like to know is how you coped with all the problems in your life before you met Phoenix and his family. Weren’t you at your wits end? Madison: Not knowing what’s wrong with your child, is the worst thing a parent can suffer. And I was alone. No husband to lean on and no family either. I was terrified. By the time Nix and his family showed up on my doorstep, things had escalated and I was about two steps from falling apart. Autum: And how would you say they changed things for the better? Madison: I had answers. Even if I didn’t like those answers, I still had them. At least I wasn’t blind to what was going on. It’s hard to fight the supernatural when you have no idea it’s out there. Harder still to discover it’s taken over the direction of your life. Autum: You’re a widow I believe? Madison: No, I’m not a widow. *shakes head* My husband walked out on me shortly after Amos turned two. I think being a widow would’ve been easier than knowing my husband didn’t want us any longer. Madison: If you’d asked me that six months ago, I’d have said anytime just to keep the world safe. Not any longer. I can die happy only when I know my son is safe and capable of taking care of himself. For a limited time, Pandora’s Box (book one in the series) is available for .99 cents at Amazon. Book two in the series, Hell’s Phoenix, releases February 17th in e-book format at online stores everywhere. 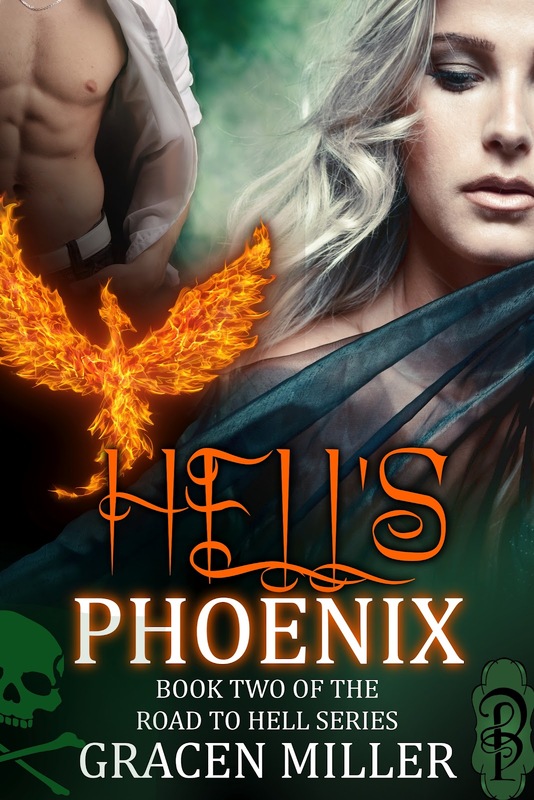 Pandora’s Box is a must read before picking up Hell’s Phoenix, as they are a linear storyline about the same characters and book 2 picks up immediately where book 1 left off. Leave a comment for a chance to win your choice of one of the Road to Hell Series themed buttons/pins pictured below…but PLEASE leave your email address so I can contact you if you’re the winner!!! Winner will be drawn on February 8th, sometime after noon CST. Thanks for having Nix and Madison with you today, Autum! What happens when your son turns homicidal overnight and your husband disappears on his way to work? Do you cower in fear or fight for your life? Madison Wescott fights against the odds. Distrustful of a God she doesn't believe in, she finds herself face-to-face with a world she didn't know existed and discovers her own soul is darkened with demonic connections. Phoenix Birmingham bursts into Madison’s life in a whirlwind of sarcasm and sexual appeal. A hero for the masses—and for her jaded heart—but few will ever know the sacrifices he has made or the sacrifices to come. Discovering her entire life has been influenced by multifaceted paranormal beings, Madison is determined to defeat the apocalyptic blueprint fate has decreed, but only one man dares to challenge the supernatural forces manipulating them. Even with Phoenix's aid, can destiny be denied? Or will demonic design prevail while they pay the crucial price with their souls? Alice, thanks for coming out to support Nix and Madison! That was a great interview! I'm reading Madison's Life Lessons right now so I have yet to actually meet Phoenix, but now I really can't wait! :) And the pins look very awesome! Thanks Delphina and Erin for supporting Madison and Nix! SECOND CONTEST: Send me proof of purchase where you BOUGHT Pandora's Box (it's ONLY 99 CENTS at Amazon for a limited time) to roadtohellseries@gmail.com (put in the subject line PB CONTEST) and I will enter you to win an e-copy of Hell's Phoenix. Contest ends on February 16, 2012, midnight CST and winner will be announced and forwarded their e-copy of Hell's Phoenix on February 17, 2012 (the day of release). If you refer a friend to this contest and they purchase a copy of Pandora's Box because of your referral, have them tell me and I will give YOU 10 extra entries! (For further details, check out contest info here: http://madisonroadtohell.blogspot.com/2012/02/99-cent-steal-contest.html). I loved the interviews!! I can't wait to read Pandora's Box. *sighs* So many adventures to catch up on! Kisses and Hugs (xoxo!) to both Autum and Gracen! Thanks for dropping by, Nely! Desitheblonde, I do have bookmarks for both Pandora's Box and Hell's Phoenix. Good luck to you both on winning the buttons/pins! Great interview! The pins are amazing! Thanks, Jaidis, for coming out to support Nix and Madison! Those are some super cool pins! :) Fantastic interview Autum! Love the blog! Loved the interview!!! Gotta love Nix!! I can't wait for the second book!! Very beautiful interview! Phoenix and Madison, nice to meet you. You both seem very interesting characters. Thanks to ALL of you for coming out and supporting Nix and Madison. Random.org picked ERIN as the winner. Congrats, Erin! I will contact you by email.